Following their recent tour of Japan, Ricardo will be bringing this unique and extraordinary trio to you. Blending virtuoso guitar, taiko from Japan and uplifting dance, FURAMENKO is a one-of-a-kind show that explores flamenco’s surprising ties to the land of the rising sun. Ricardo Garcia is an internationally touring, award-winning guitarist of Andalucian origin. Immersed in flamenco from a young age, he performed in public for the first time at the age of nine. Ricardo has since played in prestigious venues such as the National Theatres of Kenya and Ethiopia, the Zenith in Paris, for Spanish Embassies abroad, in film and theatre and on TV in various countries and in World Festivals globally. An acclaimed musician, music educator and composer, Ricardo’s music often incorporates influences from his many international collaborations - though his heart remains forever attached to flamenco. 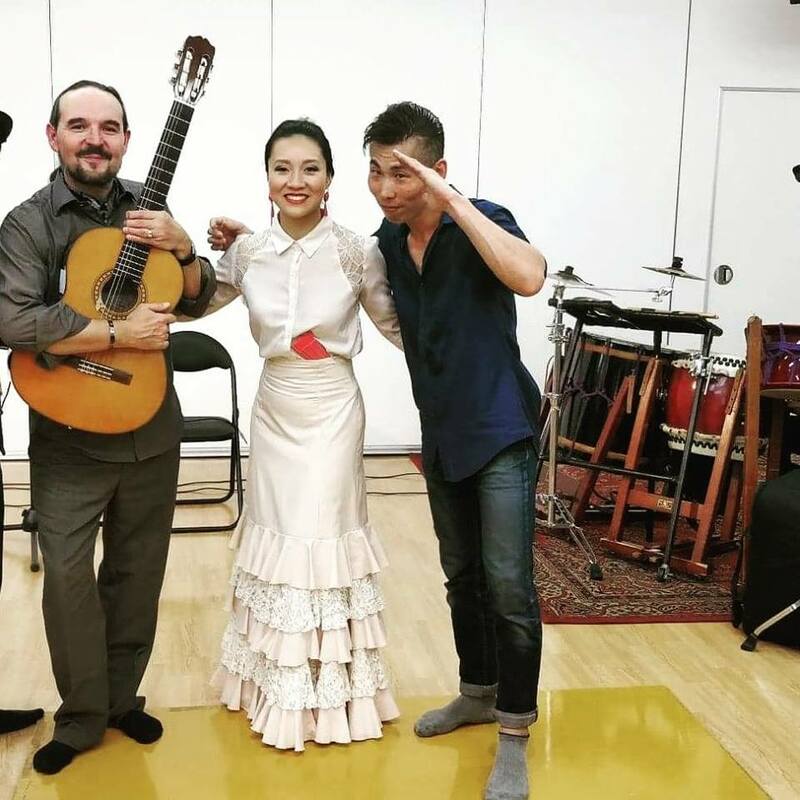 Nanako Aramaki is a Japanese-Canadian flamenco dancer who has toured with Ricardo and his groups in Kenya, Zanzibar, Denmark, England, Scotland and recently Japan. With a background in piano and ballet, Nanako’s keen sense of rhythm, elegant movements and expression have won over her audiences on four continents. Masaki Otawa is a truly gifted percussionist who specialises in the traditional Japanese taiko drums. In 2005, he was awarded the prestigious Chiba City Arts and Culture New Artist Award. With a mission to make the Japanese taiko drums more accessible and widespread, he has performed throughout Japan, USA, Europe and Asia. This is his first visit to Scotland!